NYC, 05/02/2019, 7:00PM. A Pianist Who Appeared With The Philadelphia Orchestra, The Boston Pops Orchestra And More. 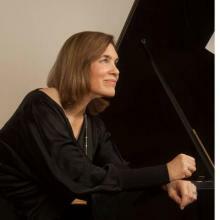 Levin has appeared as a concerto soloist with numerous symphony orchestras, including the Philadelphia Orchestra, the Boston Pops Orchestra, the Boston Civic Symphony and the Seattle Symphony Orchestra. She has also worked with noted conductors such as Arthur Fiedler, Tonu Kalam, Milton Katims, Joseph Silverstein and Benjamin Zander.